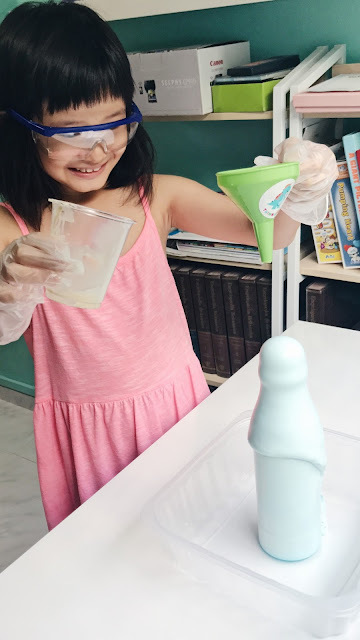 Thinkasaur is a monthly subscription box of science experiments suitable for kids. I would also call them THE box of fun and learning! 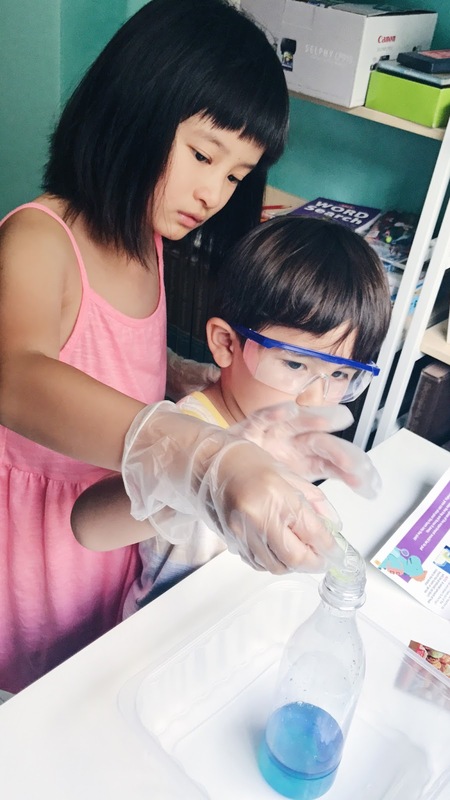 My son Hansel and niece Rachele enjoyed conducting all the experiments during the March school holidays and one of the weekends. They have got the 'Light It Up' and 'Crazy Chemistry' boxes. These 2 boxes come with 3 experiments each. The number of experiments vary in the different kinds of boxes. Their boxes come with common items (items required for all 3 experiments) as well so there is really nothing more you need out of the box to conduct the experiments. The instruction sheet indicates the mess level so you can expect the cleanup level hahaha! It also provides a guide that explains the experiments and why the results happen the way they do. 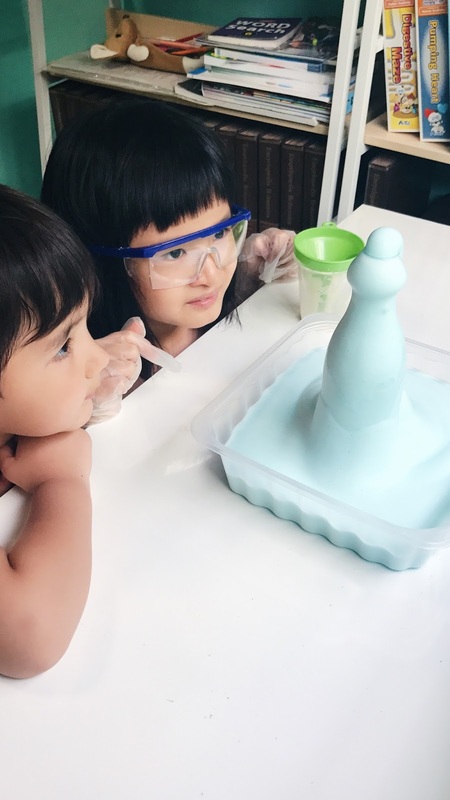 I love how it increases a child's knowledge through a fun and thought-provoking way. "Why does the laser light only not shine through the blue colored jelly?" "How does 1 image disc transform to so many images?" 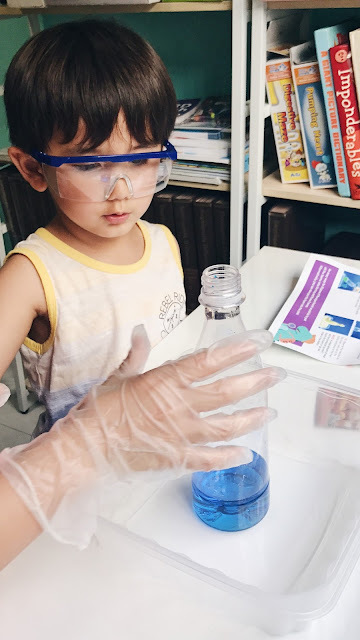 This Crazy Chemistry box is really fun!!! 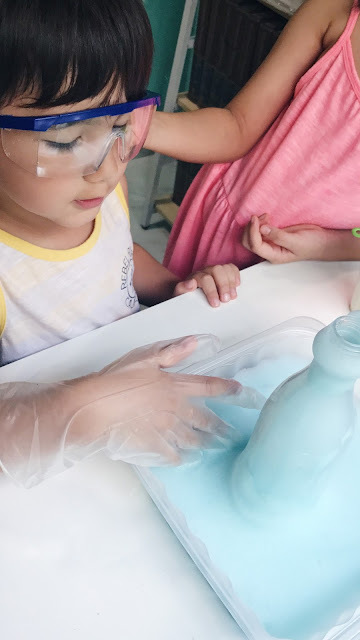 Even I was excited watching the kids carrying out the experiments! This could possibly be my favourite box! 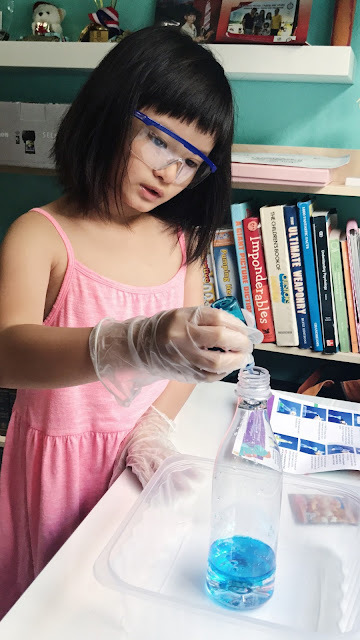 Looking like real scientists with their safety goggles on! It was really enjoyable and educational for the children. 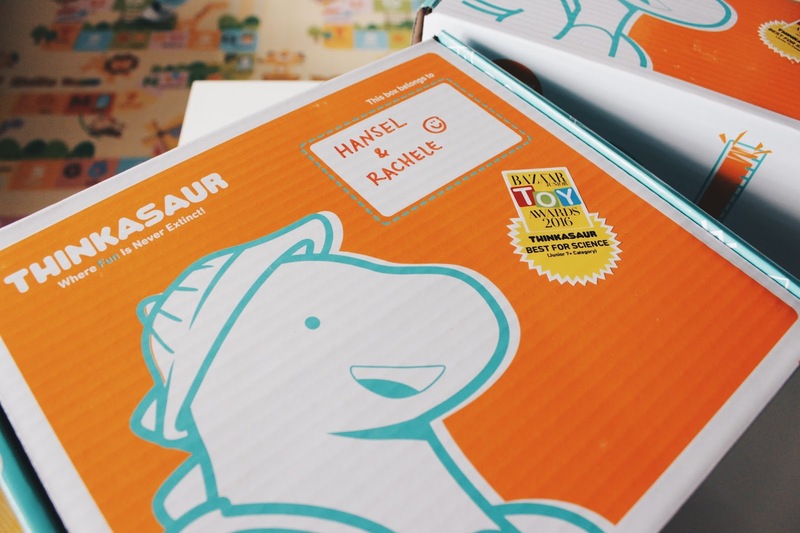 Thinkasaur offers a 6 month subscription and individual boxes. Find out more about their subscription plans HERE. on www.thinkasaur.com are entitled to 5% OFF their first order total!